The line between hero and villain is often blurred in fiction, but particularly so in The Walking Dead, where conventional morality has been set aside in the face of a zombie apocalypse. Even so, it’s not too hard to conclude that Jeffrey Dean Morgan’s Negan falls pretty firmly on the side of evil, being as he’s a sadistic, manipulative, brutal sociopathic cult leader with a penchant for bashing people’s heads in with “Lucille,” his pet baseball bat. “I think if we followed Negan we might even be in the same place that we are with Rick where we’re like, ‘Whoa. What you’re doing there seems like the behavior of a bad person. What’s interesting is, I think for Rick’s experience, he’s justified in what he’s been doing. The world has formed him this way and what he’s done has generally been a reaction to being threatened and trying to make sure that his people live. It’s an interesting point of view, and one that will hopefully be explored in the upcoming season 8, in which we may also learn a little more about how Negan became this fascinating, if monstrous character. All we know from the TV show so far is that he was formerly a used car salesman, though an issue of the comics provides some tantalizing details (including who the original Lucille was), which I won’t set out here for fear that it’ll spoil things. 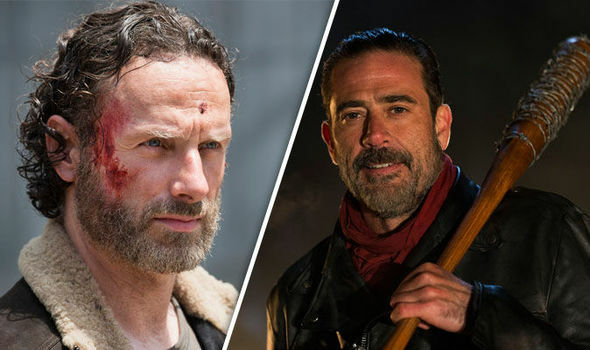 Either way, Negan is indisputably one of the best villains on TV right now and has given AMC’s hit series a real shot of energy just when it needed it most. As such, we can’t wait to see more of him when season 8 of The Walking Dead premieres in the fall.